Storey Publishers have recently released a new book by Carleen Madigan called The Backyard Homestead. 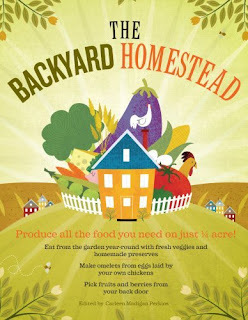 This book will appeal to lots of us interested in becoming more self-sufficient and self-sustaining. The economic future doesn't look pretty and lately the buzz everywhere is leaning towards home gardens. Of course you can make substitutions and raise rabbits instead of pigs, oats instead of wheat, or add an herb garden. But you get the point. Depending on climate, the size of your house's footprint, zoning ordinances, etc., you can pull off a reasonable harvest that will save money in the long run. What I like about this book is the concept of what one can do on a small piece of land. Madigan does a great job of giving her readers ideas to get their imagination going. 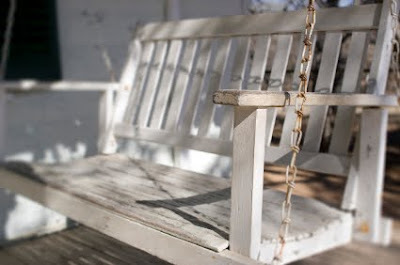 Listing over seven categories of interest with many subcategories, The Backyard Homestead covers just about everything. The drawback of the book is obvious. You can't develop each subject or idea well enough to make this book the kind of reference source that will answer all your questions. 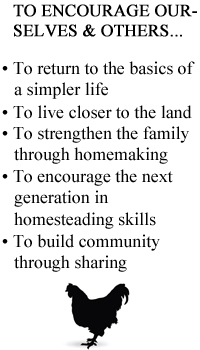 It does cover the basics well, but anyone venturing into a new area on their own homestead will want to get a book that addresses that particular subject at length. In comparing this book to A Slice of Organic Life, The Backyard Homestead is much more technical and helpful, but without the glossy color photographs that capture your heart in A Slice of Organic Life. However, it does include some great line drawings. I suggest that you check this book out and let Carleen encourage you with the possibilities on your own property. Who knows what bountiful harvests await you? Update: Thanks to all who participated in the Chico Bag Give-Away. The drawing is now closed. 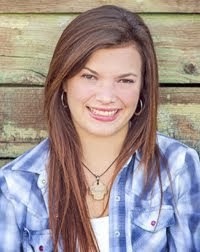 Congratulations to Megan of Megan's Blog! 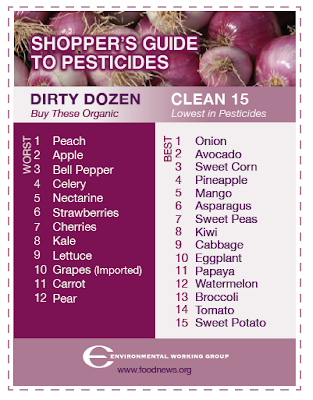 Have you started taking your own bags to the grocery store or farmer's market yet? I think the idea is finally starting to catch on. 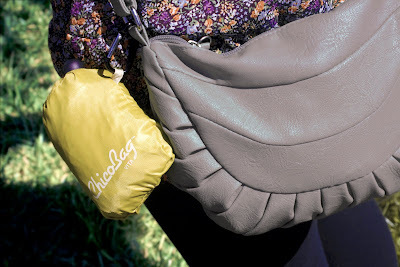 And I'm sure it's partly due to great companies like Chico Bag that have created a practical, but yet stylish solution. I really wanted to switch over to re-useable bags because it just seemed like doing so would be good stewardship. Those plastic bags really accumulate fast if you shop regularly, and then you need to recycle them in some way. For me it isn't a very good use of resources or time. 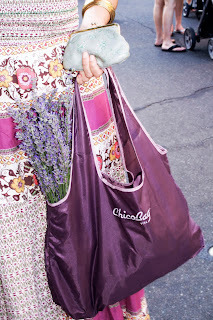 Before Chico Bags, I tried to use the large, square fabric bags that only fold flat and are sold at most stores with their logo on it. It's great that they fold flat, but I just couldn't ever remember to put them back in the car, much less take them in the store! Then I purchased a couple of Chico Bags and I finally started to make the transition successfully. These fold up into a tiny pouch so that they can be dropped down into my purse, or I can clip it on the side somewhere. I've also left them in the cup holder of my car where they are right in view when I am parking at the store. But I think that the fact that they're actually cute made me want to use them! The Chico Bag is really light weight so it won't weigh your purse down, but that doesn't mean it won't hold your heavy items. These things are tough! I haven't done an actual test to see how much they'll hold, but I've used it for my raw milk and other heavy items without any problem. And they're easy to get back into the attached pocket. Would you like to try one? The good folks at Chico Bag have sent me a sample SLING Bag to give away to a Homestead Revival reader. This is perfect for the farmer's market because you can put it over your shoulder with your coin purse inside and your hands are free for other uses. If the strap is too long, just tie it at the top to shorten it. Or wear it across your chest. Recently I took mine to my friend's farm to purchase meat and produce and I found the strap comfortable even with food inside. 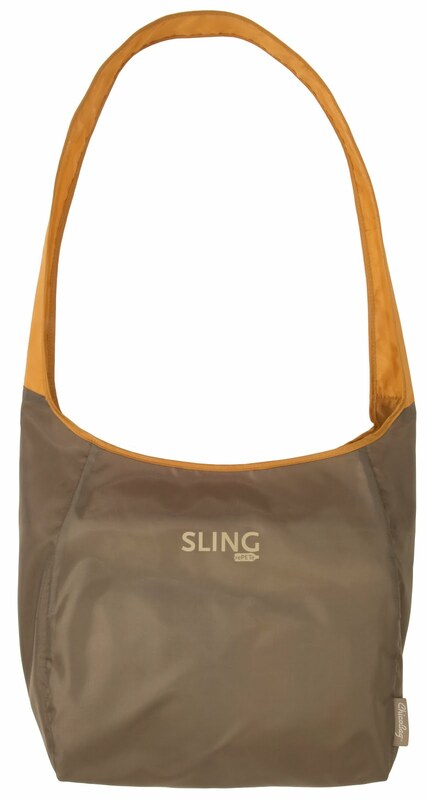 Also, you might be interested to know that several of their bags, including the SLING, are made from 99% recycled items: plastic bottles and some aluminum (for the hook). Any of their items that are marked rePeTe are part of the recycle program. How can you win this SLING bag? 1. Go to the Chico Bag website and do a little browsing. Check out their various products. 2. Come back here and tell me what you think. Would any of them work for you? What styles seem most practical? Which is your favorite color or print? Tell me anything you'd like in the comment section. 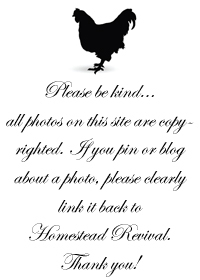 All entries must be from Homestead Revival Followers. The Give-Away ends Thursday at 10:00 PM PST. Don't miss out! 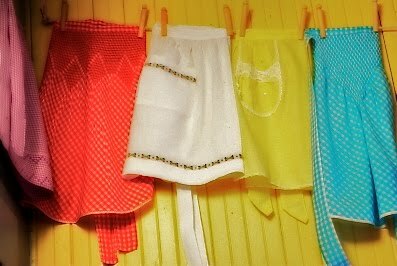 Did anyone out in Bloggerland grow up wearing aprons in the kitchen? I didn't. Remember, I'm from the instant 'Tang' generation. Who needed an apron for that? However, I do remember my mother wearing one on occasions. But as time passed I saw it on her less and less. Perhaps because she had to return to work after years of being a stay-at-home mom. Or perhaps it fell out of fashion. Either way, it sadly vanished from the halls of domesticity. A couple of days ago, I woke up after a poor night's sleep. I had gone to bed very late, then couldn't sleep, only to wake up earlier than necessary while it was still dark. I was definitely annoyed, anticipating a long day with many frustrating moments because of my lack of sleep and certain irritability. I prayed for grace and after laying there a while, I decided to get up and just plow on through the day as best as I could. I figured if I could just get through the day, I could go to bed early that night and get caught up on my rest. Was it the apron? I had started cooking a bit earlier, somewhat reluctant to get to involved in meal preparations because I was a bit tired. But then I realized I was getting a bit messy and needed to put on my apron (sleep deprivation causes one to forget normal stuff). And now, here I was, practically skipping through the kitchen and pantry getting more invigorated by the moment! How strange. The apron had somehow transformed me from a tired slave of kitchen duties to an energized member of generations of women that have proudly served their families. "Empowered" is so over used these days, but I can't think of a better word to describe the feeling I had. What is it about aprons that cause us to feel so? Is it because of a common link with women over the centuries? Because it seems mostly a feminine accessory? Or is it because an apron is much like our protective armor we don as if we are a noble knight going into battle? Perhaps it is the fact that an apron communicates thoughts of delicious and nourishing meals, home canned foods, simple household chores, gardens, clothes hanging on the line, someone is home and always there for us, security... love. It must have been all of those things. And I love it. God had used a simple apron to remind me of my simple, but profound mission. Years from now, I hope my daughters have memories of me in my apron, cheerful and glad to be at home. Thankful to be a wife and mother. Grateful to serve. 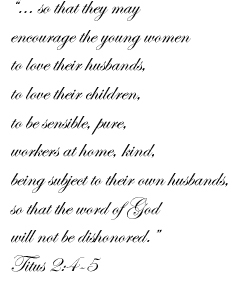 Laboring out of love. And I hope they'll pick up an apron, tie one on, and feel as I did. But they who seek the LORD shall not be in want of any good thing." As you seek His face, may you find rest and joy in Him! 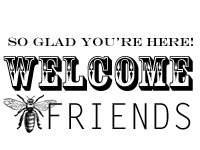 Welcome to all the new followers! So glad to have you at Homestead Revival. I'm working my way to visiting blogs when I get a chance. I hope your time here is profitable and a blessings. 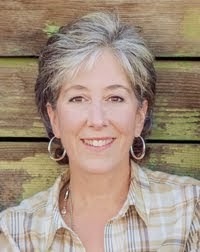 For those of you interested in reading Real Food by Nina Planck, I'm hoping to start by posting once a week next week. Even if you aren't reading the book, I hope there is enough in the post for you to glean some good information. The Blogging Bee is simply an opportunity for bloggers to share what they gleaned from reading other blogs during the week by writing about it on their own blog. It could be something new you leaned or simply just a great idea that you'd like to share. Besides passing on good information, it is designed to recognize other bloggers. Thus, the reason why you post links to their blog in your write up. 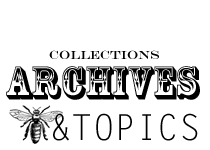 If you'd like to see examples of past Blogging Bees, just click on the link in the right sidebar under "Read More Posts Here". I often share three or four things, but if you want to share only one, that's perfectly fine. Despite the low participation, I am sticking with this because I think it is a great way for some new bloggers who are doing a great job to get recognized out there in Bloggerland. And it's a great way for you, the reader, to get the best of the best. 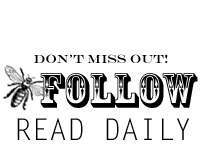 1) Write a post telling something(s) you learned or liked this week from another blog that is worth passing on. 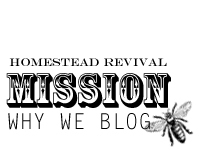 2) Grab the graphic above, add it onto your post and link back to Homestead Revival. To do this, just click on the title above, copy the URL, and link it or embed it in your blog. 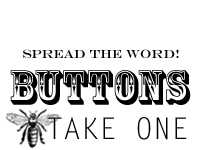 3) Come back and add your name and your own URL to Mr. Linky below. Is that clear as mud? Please feel free to ask me to clarify if I'm still not explaining it well. I loved Marisa's video of her kids taste testing raw milk for the first time. What a hoot! They thought they were picking the pasteurized milk, but it was the raw stuff. They obviously liked it better and you can see it at Backyard Farming. Need to stretch your food dollars and still be able to buy organic free-range chicken? Michelle at She Looketh Well has a video segment on how she feeds her family of 11 on three chickens to make several meals as well as some broth. This is really incredible. Thanks Farmgirl Cyn for passing on this link! Diane at The Home of Peaceful Acres had an outstanding post that gave me lots to think about today. She introduced her readers to Joel Salatin, owner of Polyface Farm and some of his ideas and books that he's written (read the comments). Then she gave a comparison of Louis Pasteur's philosophy of germ theory and Antoine Bechamp's cellular theory. It sounds very scientific and intimidating, but it isn't. However, if you're like me, you'll realize it's just the tip of an iceberg that needs exploring! (I just love this stuff!). 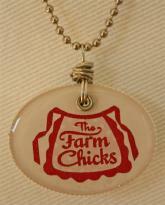 I want to close with a big thank you to Andrea at Rural Revival (my "revival" farm-chick sister) who sent me this neat necklace that I won over at her blog a couple of weeks ago. I've been proudly wearing it and sharing about our blogs! Thank you, Andrea. I think of you each time I wear it! This is the beginning of Spring Break for my family (no school!). I'm looking forward to some garden time, sunshine, and regrouping before the sprint to reach the school finish line! Hope you're weekend is blessed! This isn't a very lovely title for a blog post. But then again, underarm stains on your shirt aren't lovely either! And since I wear a lot of white shirts, I needed to find a way to rid them of this nasty blight on a regular basis. "People assume that sweat causes underarm stains, but you wouldn't have stains if it weren't for your antiperspirant. Antiperspirants are very acidic and it's that acidity that causes the colors on your clothes to shift." Ummm... I don't wear antiperspirants, Mike. Years ago I gave up antiperspirants and have only worn deodorant since . So obviously, these stains must be the result of more than one factor. Therefore when treating them it may require more than one method. Then launder as usual. The results? The stain is gone! I call this a success! I tried it on my husbands white shirt around the neckline where he gets a ring around the collar. Again, it worked really well. We may have a winner here. I'm going to continue using it for a few weeks and see if it yields the same results over a period of time and on different fabrics. So, how do you get rid of underarm stains naturally? "If an EMP ever hit, this might not make a whole lot of difference, however, many other scenarios that are more likely to happen will be effected by this single area. If we move from a recession to a depression, being debt free might mean the difference of whether or not you keep your homestead. And you can imagine the trickle down effect if you loose that! A job loss or natural disaster will still mean your bills are due, and while they may grant you a period of grace to get back on your feet, having your finances in order will determine how well you're sleeping at night! (Proverbs 6:1-11)"
Your family's comfort or survival may not hinge on being financially sound in every situation, but in most cases it will make a huge difference. And without sounding like an alarmist, I think it will be more so in the future. Let's face it. As Americans, our generation is finally coming to terms with the fact that life can be uncertain, and while being debt free isn't a guarantee that life will go well, it is an area that can really increase your grief if you haven't managed your finances well. Our family has moved more and more toward being debt free over the course of our marriage and we were able to pay everything off several years ago with the exception of our mortgage. This was something we just assumed was a legitimate debt that didn't violate biblical principles - all because it appreciates in value and renting isn't necessarily cheaper. Honestly, I used it as an excuse not to pay it off quickly despite my husband's desire to do so. And now, things aren't as certain as they were a year ago. Lesson learned. I get it now. So wherever you are in your financial walk, take some time to evaluate what you need to do to get your house in order. From paying off credit cards, a mortgage, saving for a rainy day, retirement, prepping supplies, evangelism, and so on, we need to take a hard look at where we are and where we feel God wants us to be. Where do you begin? We will each have a different situation, but most financial counselors will recommend these basic steps in the following order. I don't believe that we must give all our money. Some subscribe to a tenth based on Old Testament Scriptures while others believe in the New Testament idea of giving what you can sacrificially. Either way, the idea is not to give as little as you can, but to give as much as you can! Your children need to eat and be clothed, you need to pay your bills, and you need to pay for a roof over your head. Beyond that, it's all luxuries. We don't think like that in America anymore. I know I don't, but I'm trying. We've set a personal goal to increase the percentage that we give whenever we get a pay raise and to take on one new para church ministry or mission project annually. This isn't always possible, but if you don't aim for a goal, you certainly won't reach it! Plan to sit down with your spouse and pray about and discuss a long term plan. 2) Emergency Fund. It's a good idea to have some cash on you in case of a disaster. If electricity is down, atm machines and credit cards won't work. You've heard the saying "Cash is King"? We'll you'll know it if the power is down for any length of time. Be sure to keep an assortment of small bills on hand or you'll be forced to use larger bills and you won't be guaranteed change. We're talking about dealing with "the world" here and if there's a line for bottled water and diapers, ten people behind you will have the cash and willing to take the item if you can't or won't pay. And since emergencies don't always happen when you're at home, keep some on you at all times. You may need the cash to get home! Keep at least $500 around, but I'd work up to $1000. 3) Pay Off Debts. Credit cards first (because of their high interest rates) and then your loans. There are lots of good resources to help you with this such as Crown Ministries, Dave Ramsey, and Mary Hunt, so I won't go into it other than to say... pay off the cards with the lowest balances first, consolidate to a no fee/no interest card if you can, and eat lots of beans and rice to funnel as much money to this as you can. Then cut up the cards and call to cancel all accounts. IF you are super disciplined, you can use a card if you pay it off monthly, but the first time you don't, cut them up. (If you are super disciplined, you probably won't find yourself in credit card debt to begin with). 4) Start A Freedom Fund. It's kind of like the old envelope system. Mary Hunt calls this a Freedom Account, but it's the best bit of advice for staying out of debt. Basically, you take your major bills that are due annually (such as taxes, insurance, and etc), and you take the total amount due and divide by 12. Then with each monthly paycheck you put aside 1/12 of the money so that at the end of the year, you have what you need to pay the bill. You can do this with your utilities by finding out what you spent last year, average it out for a monthly figure, and put this amount aside each time you are paid. This has been THE number one way that has helped my family stay out of debt. And don't rob Peter to pay Paul. Once you set it aside, it should stay there! (Mary gives tips for those who are self employed and on commissions - if I remember correctly! - in her book Debt Proof Living). Don't forget to include major purchases such as a "new" used car, an appliance, or other need that may come along at some point. Because you're credit cards and loans are paid off, this is now something that is actually feasible. And since we're talking about being prepared, this would be the time to set up a budget line item within your freedom fund or freedom account for prepping supplies. If you've read my previous posts, you know I don't recommend going out and buying everything at once. We'll talk about what to buy when at a later time, but for now, just know you need to add it to your budget here and discuss with your spouse how much that will be each month. 5) Pay Off Mortgage. Here is where I've had a major paradigm shift. 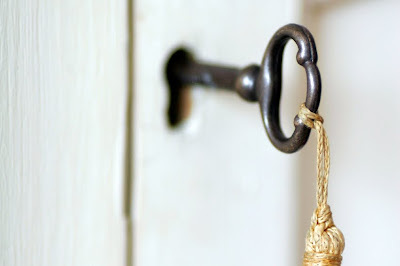 Most financial counselors will tell you to start investing, and perhaps you can do both, but I would start making a major effort to pay off the house as quickly as possible, even if you have a low interest loan (and we do!). If you are willing to put this ahead of investing, you will more than likely pick a modest home over an expensive one. You can always save more money and "upgrade" later, but there is tremendous freedom in being 100% debt free and knowing you're living within your means. And while we're talking about the house... I'm probably preaching to the choir here (I'm sure of it! ), but women are notorious for buying all sorts of things to put in their home. To the point of clutter. Don't get me wrong. I love a beautiful home. And I'm not saying don't buy or put anything in your house. I'm saying be reasonable. Travel light in this world. God might call you somewhere else, even the mission field, and if you are bogged down with worldly stuff, you'll be like the rich young ruler, grieved because you have invested too much to loose. Mentally let it go now. Clean out. Have a garage sale. Keep only a few well placed items and call it good (and you'll save a lot of cash!). 6) Savings/Retirement. You could opt to start saving earlier and it wouldn't be unbiblical, but if you have reached this step and haven't started, you need to do so. This will allow you to be less dependent on the government, your children, and others. And you will have more resources to give as God directs. God warns those who seek wealth for their own gain to the neglect of others (Luke 6:24-25), but there is also joy in giving! My husband once asked a friend how he could afford to give so much to others. He said, "I keep shoveling it out and God keeps shoveling it in. And God's got a bigger shovel.". You'll really believe this when you've reached this point because most likely you will not be hampered by a financial burden. And if God does see fit to bring a financial trial your way, you can know that you have been a faithful steward of what He has given you in the past and He will care for you in the future. Speaking of which... I don't know what's in store for the future. And I can't tell you that we have all 6 of these locked down tight. But, we're a lot further down the list than we were a couple of years ago and we are feeling compelled to push ahead and get it done. What's holding me up from doing what I know I need to do? Why am I not putting these things into practice? Why am I getting hung up at the same point each time? What will it take to get me over the hump? Am I growing weary in doing good? If so, where can I get encouragement to stick to it? Have I prayed about this and sought God's will and direction in this area? Am I obeying what God has told me to do? Two things are certain. First... Until Christ returns, events will still happen. And number 2... God owns it all. We just get to use it for our glory or His. Which will you choose? The Future of Food: GMOs? By now, most everyone has heard of GMOs and how they are bad for you. But unless you are growing all your own vegetables or eating exclusively organic, you are almost assuredly eating genetically modified food. Didn't know that? It's true. And according to some documentaries, it's almost out of control by the scientist who have devised these Frankenstein foods. Have I ever recommended The Future of Food? I think that of all the documentaries on food that I've watched, this one is one of the most revealing when it comes to understanding GMO's or genetically modified organisms. I'm attempting to add an actual video clip here for the first time (hope it works for you!). It's only an introduction to the movie, but you can easily order this from Netflix if you have an account with them in order to view it in it's entirety. Or click here to download it to your computer to view for free. Scary? Try watching the whole thing! I really didn't understand the difference between hybrids and GMOs until I watched this. It's really amazing what they are doing to food and we aren't even aware of it! I talked to an organic farmer a few months ago who has a close friend that works at Monsanto. His friend honestly believes he's doing something that is safe. I humbly submit that at some point we are trying to play God when our science and technology goes beyond the natural laws that God established. Even if you object to organic foods because of the price, I highly recommend that you at least eat organic corn and soy products (the most genetically modified foods) along with the top twelve that are considered "The Dirty Dozen", if for no other reason than to avoid GMO's. Print and clip this chart, then laminate it to keep in your purse. That way you can make an informed choice when you're working on a tight budget. Once it was thought that you could avoid any produce from the grocery store that has an '8' at the beginning of the produce code as this indicates that it has been genetically modified. However, produce won't always bear this code as it is used only for inventory purposes and is not required and more often than not, they are just not bothering to add the 8 in front of the number. Because after all, with the bad press, who is going to actually want a genetically modified ear of corn? (Codes starting with a 9 are organic). Another way to avoid GMO's is to buy organic or heirloom seeds and grow your own vegetables. 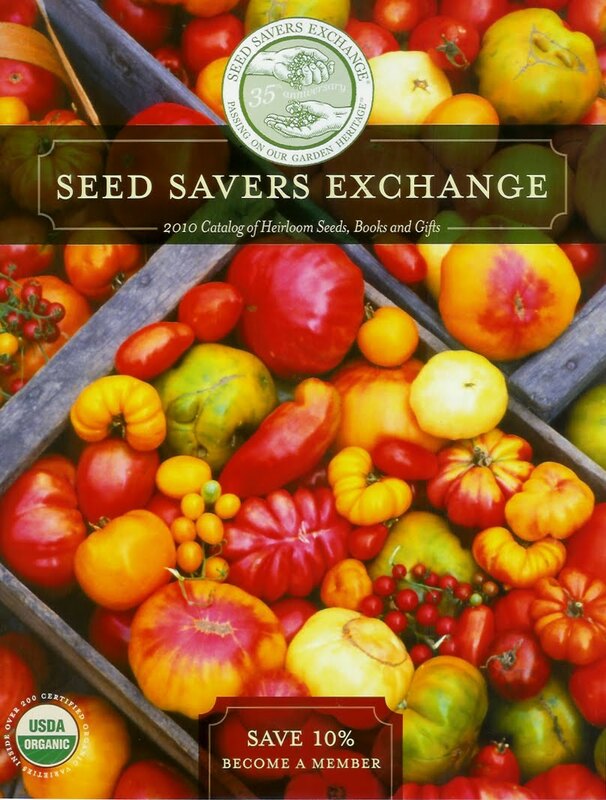 I really appreciate the work that Seed Savers Exchange is doing to preserve these God-given treasures. You can read about their mission here. Others seed companies are working toward these same goals as well and they remain a great resources. Someday the future of our national food supply may depend on their efforts (but only if God ordains it to be so!). Once again it would be easy to become fearful. Instead, become informed and wise. Know that you will consume some of this stuff, but our bodies can handle small amounts of these GMOs if we are eating the bulk of our food from a reliable source that does not contain genetically modified produce. Choose carefully. "Then God said, "Behold, I have given you every plant yielding seed that is on the surface of all the earth, and every tree which has fruit yielding seed; it shall be food for you;"
Eat and be well, friends! 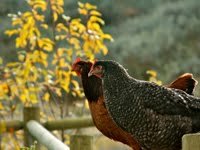 Backyard Farming has been hosting a chicken photo contest which ends on Friday. You might find it fun to go over and vote for your favorite picture. Click HERE to go directly to their page. I don't think I'll ever grow tired of watching chickens. It must be in one's DNA to love them so! First, let me say how much I'm enjoying the GNOWFGLINS eCourse that Wardeh Harmon is teaching. It has motivated me to actually crack open my Nourishing Traditions Cookbook and try some things that I had hesitated to do before. And I'm getting hooked! The more I learn about this way of preparing meals, the more sense it makes. And what's interesting is that I'm finding a lot of it is similar to French cooking - at least the part with broths and I'm assuming cultured foods (I don't really know that much about French cuisine - just enough to be dangerous as they say). I thought that the soaking would require more effort to prepare the dishes, but I'm finding that it actually is easier for me. Mainly because you do half the night before (or at least a portion) and then you finish it up the next day. And since the soaking times are a range of time rather than exact, it takes a lot of pressure off as to when you have to be back in the kitchen to finish the recipe. Wardeh is so organized and has prepared all the handouts and information in such a lovely fashion, too. But the best part for me is the video portion. Simple but just what I needed to know that I was on the right track with some of the recipes. As I mentioned before, she'll be repeating the class in a few months and I highly recommend it. This last week I made a soaked pancake recipe. It came out fine and the girls seemed to like them, but after having the Pioneer Woman's sour cream pancakes... well, let's just say that I plan to convert the sour cream recipe soon to a soaked sour cream pancake recipe! And I think it will lend itself nicely to the adaptation. I also made a soaked muffin recipe that was outstanding! I could have eaten a dozen of these by myself! But I had to share. The family was hovering around and waiting anxiously so I'm glad they didn't disappoint. These were loaded with bits of apples and soaked almonds that I made the week before. Oh, they were good! Now this next item isn't in Wardeh's cooking class, but when you find bananas on sale cheap, you buy a lot! So I am going to freeze some for smoothies and the rest I dehydrated because my husband loves them so. I used about 20 bananas for 9 Excalibur trays and it filled one half gallon canning jar (minus the ones we kept snacking on while we were working - gotta pay the help some way!). I use this handy chopper to make all the slices the same thickness. Consistency helps. Then I tossed them in lemon juice. It just helps them from turning entirely brown although they still do just a bit. I always use my Food Saver with the jar attachment to keep them as fresh as possible. It's very easy to reseal after someone has been in the jar - provided they tell me! You can learn more about the Excalibur Dehydrator under my "Shop" tab at the top. I have more products coming soon, too. Like Vita-Mix! 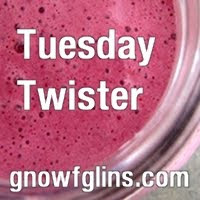 If you're interested in learning more about Tuesday Twister and what it's about, just click the blog button above. Be sure to share what's going on in your own kitchen this week and vote in the poll - it's all about soaked grains. I'd love to know your thoughts. Really! A huge number of you (166) voted in last weeks poll which asked if you would be planting a vegetable garden this year. Overwhelmingly, 71 will be increasing the size, while an additional 45 will at least be keeping it the same. I was thrilled to see so many that were going to give it a try for the first time! If you're just starting out, keep your expectations reasonable and jump in there and try some easy to grow items such as radishes, sugar snap peas, zucchini, and of course, the beloved tomato. It will give you confidence while getting your feet wet (or shall we say, your fingernails a bit dirty?). And hopefully, you can get some great tips from other bloggers, either here or on their own blogs. Because of our ground squirrel problem (and moles, etc. ), in the past I've stuck to gardening in raised beds with chicken wire on the bottom. I'll still be using these, but this year, I am going to increase the size, planting right in the ground. With the economy and our house for sale, I don't want to spend more money on raised beds right now, but I feel the need to increase the amount of food we grow. I'm hoping that the cats have now gotten the pests under control somewhat. They killed a lot of the little critters last year! My growing season on the mountain is a little shorter than most areas, so starting seeds early indoors is really helpful. Recently, I spent a bit of cash to purchase some grow lights to start seedlings indoor because last year I went crazy running them around from window to window. Since the shelving and lights are portable, if we move I will still have my investment for the next homestead. My husband opted for these metal shelves because they could be reused for many things during the year out in the garage (hope I get them back next season!). A simple dowel will allow us to raise the lights as needed when the plants get taller. These could certainly be constructed out of scrap wood, too! Here's what I'll be doing today as I homeschool... making paper pots for planting. You don't need a little wood pot maker. You can use a can or any other cylinder shaped item in your home and Thy Hand Hath Provided has an excellent tutorial on how to make these. I just love the fact that you can recycle paper to make them and that they compost right in your garden. I've tried the peat pots, but it seems they are almost too thick and the pots hinder my roots a bit. Perhaps they work better for others, but the newspaper pots are my favorite so far. If you've never heard of soil blockers, you might want to watch this short video over at You Tube to see how to make blocks out of soil without any container. You must make an initial investment in the soil block maker, but it's a really practical option for those growing a lot of seeds, like for a small farm. Jill M. Nicolaus has posted a series of 5 articles on Seed Starting 101 over at the Dave's Garden website. If you're new to seed starting, you've had trouble in the past, or if you just need a refresher, I recommend reading through these before you begin. Her information is really good! So, I better get to making pots. Don't forget this week's poll. And I'd love to hear your favorite seed starting tip! Homesteading, The Economy, and Being Debt Free! Raw Milk Poll & A Give-Away!